Plowman Craven has been involved with this iconic development since the beginning of what will be a 20-year urban regeneration scheme. Earls Court Partnership Limited (ECPL) - a joint venture between Capital & Counties Properties Ltd (Capco) and Transport for London (TfL) – is working on the first phases of the Earls Court Masterplan that will transform the former exhibition centre site into a vibrant new district with thousands of new homes, retail and commercial development opportunities, enhanced transport infrastructure and a major new London park. 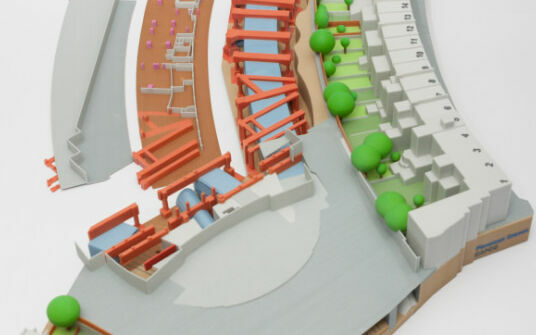 Plowman Craven has been involved with this iconic development since the beginning of what will be a 20-year urban regeneration project, initially modelling the London Underground tunnels beneath the exhibition centre and providing a Revit model of selected areas of the site. We even 3D printed it to help illustrate the relationships between the different parts of the structure. Plowman Craven has been involved with this iconic development since the beginning of what will be a 20-year urban regeneration project. More recently, as the project entered the demolition phases, our specialist PC Monitoring division has been deployed. The area is impacted by a number of Network Rail and London Underground assets, both underneath and bordering the site. To mitigate any risk to these assets we were commissioned by Capco to provide both manual and automated monitoring of any potential movement caused by the demolition of EC1 and EC2, as well as the removal of the portal beams that spread the weight load of the exhibition halls. PC Monitoring has been involved with the project since early 2014, and has successfully managed and delivered a plethora of challenging aspects. 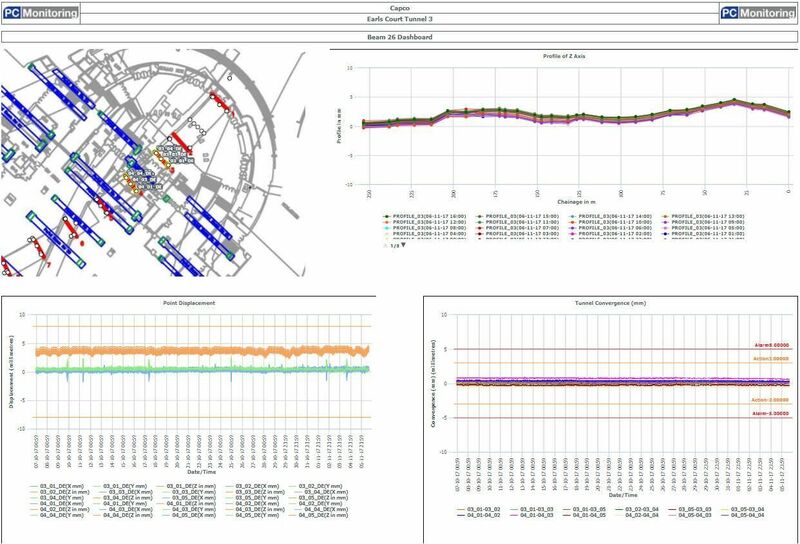 PC Monitoring played a pivotal role in the successful delivery of this project to date by making monitoring data almost immediately available to both London Underground and Network Rail Engineering Teams. Why was the work needed? Numerous live rail assets run through or close to the site. These includes four District Line tunnels that run beneath Earls Court 1, the Piccadilly Line that runs beneath the District Line and the West London overground line that borders the site. Additionally, a number of historic areas also needed to be preserved, including a disused ticket hall and escalator, the Victorian pumping station in Warwick Yard and St Cuthbert’s Church next to the access road. Removing the two exhibition centres without impacting on these sites was a mammoth task that took more than two years to painstakingly complete. Once the buildings had been dismantled, there remained the 61 portal beams that had originally been positioned to protect the District Line tunnels beneath EC1. 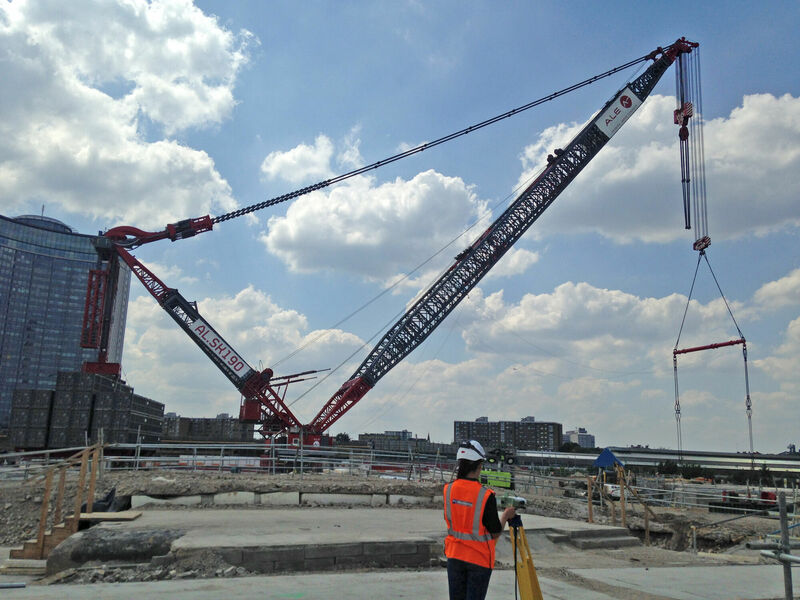 Weighing anything from 80 to 1500 tonnes, the removal of these colossal beams required Capco’s construction partner, Keltbray, to use the now-famous Supercrane. 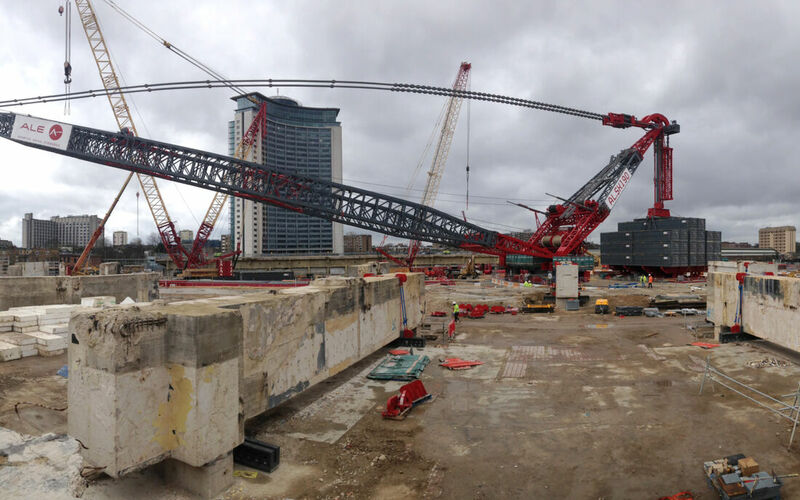 Twice the height of Nelson’s Column, the ALE SK190 is the largest capacity lifting crane ever used in London and has been able to greatly reduce the carbon footprint, the timescale and the disruption of the project. 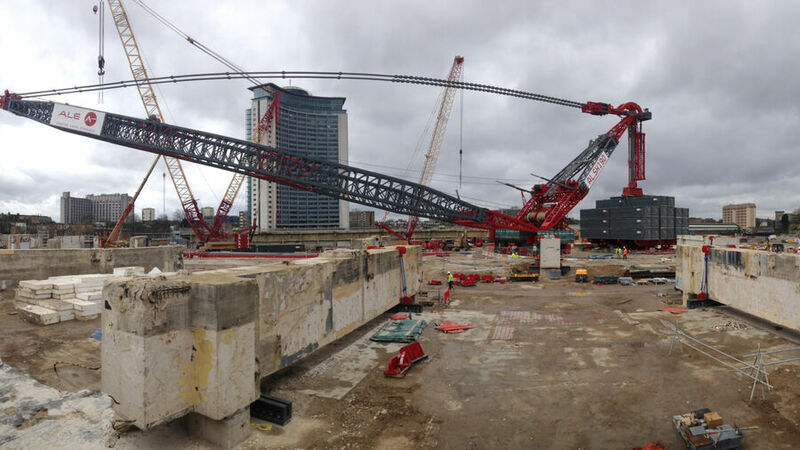 Twice the height of Nelson’s Column, the ALE SK190 is the largest capacity lifting crane ever used in London. 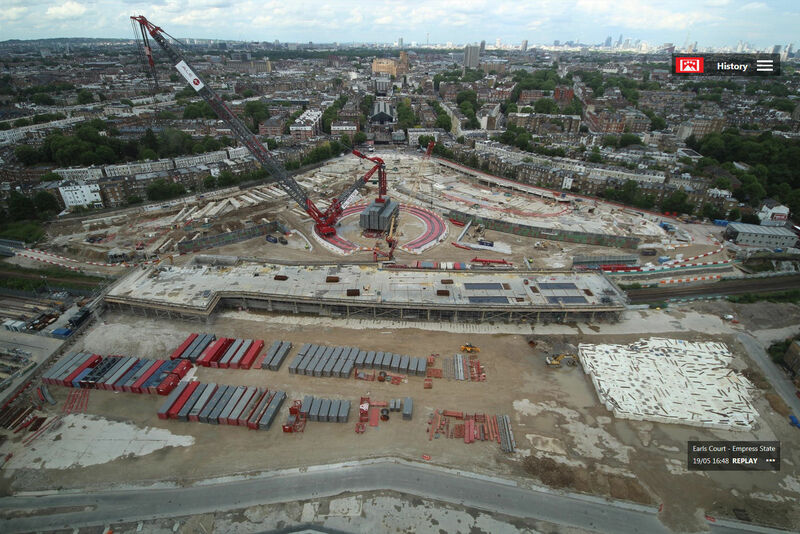 Due to PC Monitoring’s extensive expertise of Network Rail and London Underground infrastructure monitoring projects, we were commissioned to monitor all of these assets at every stage of the demolition. 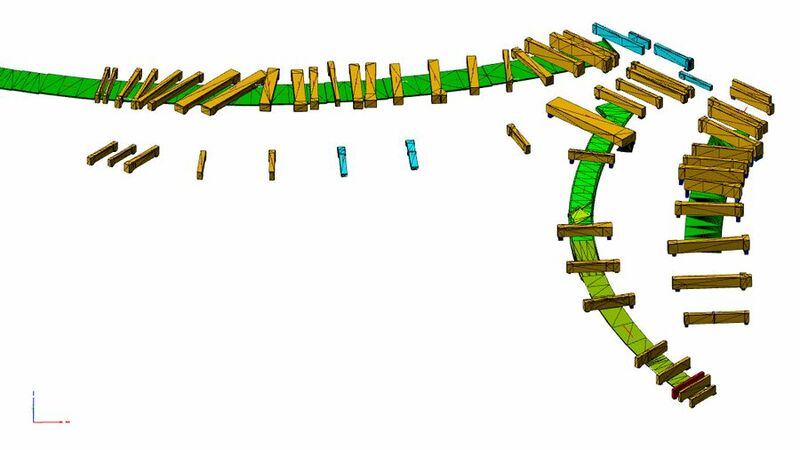 This included the tunnel structures and tracks of the live railways as well as a number of buildings, with the systems being used to mitigate risk and act as an early-warning system for any sign of movement, no matter how small. 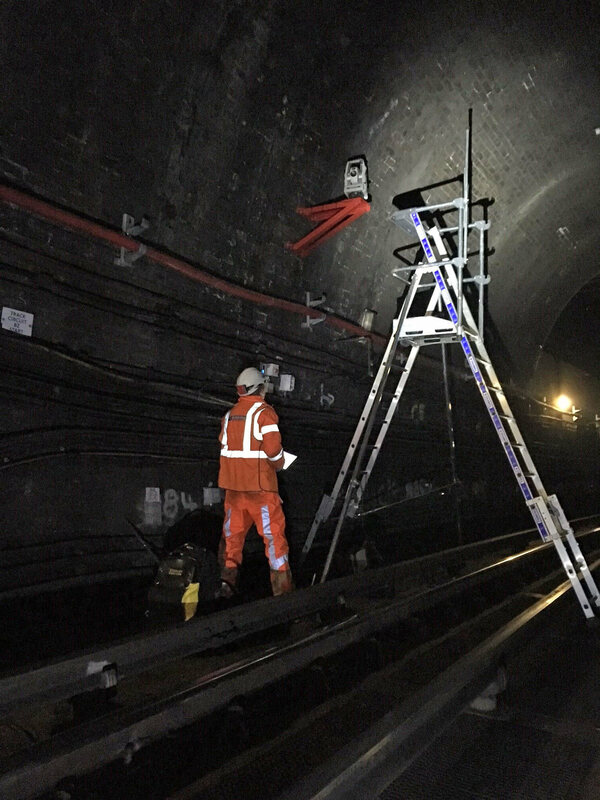 Before the demolition process began, manual monitoring regimes were established within the District Line and Piccadilly line tunnels to monitor the tunnel structures and the tracks, as well as the other structures previously mentioned. 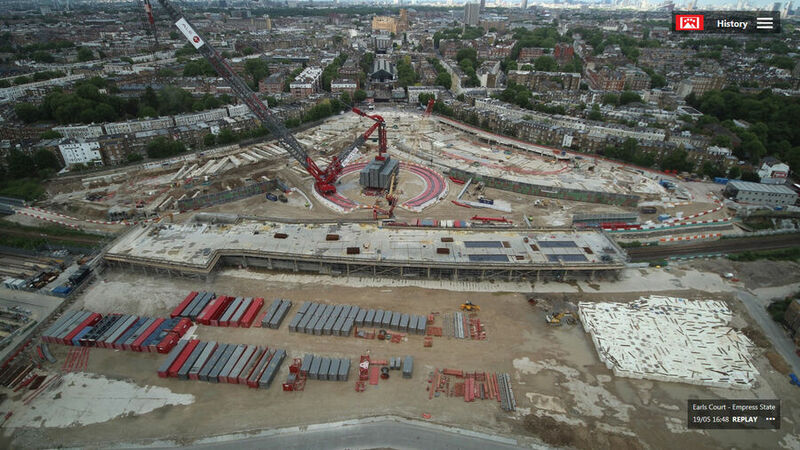 As demolition progressed, the Earls Court 2 deck and adjacent Network Rail tracks were also monitored. With more than 3,000 monitoring points across the project, the process of manually checking all the assets takes around six weeks. 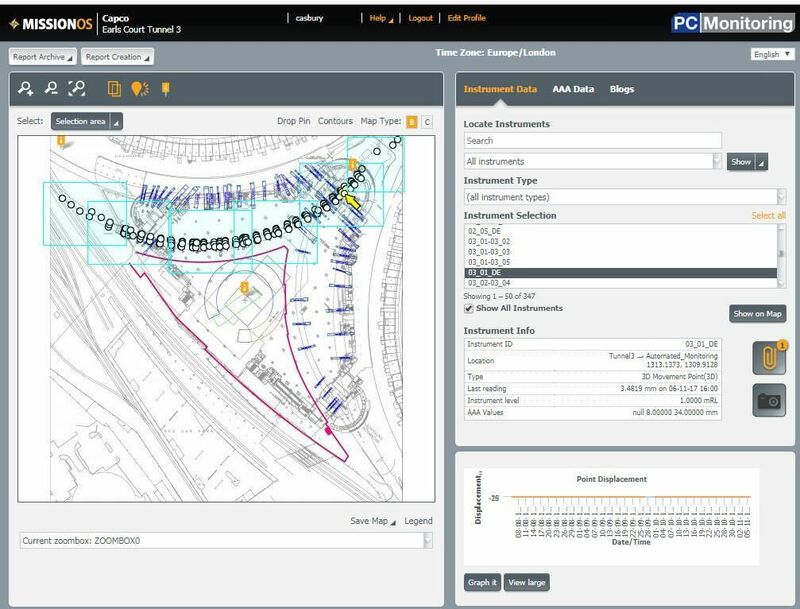 PC Monitoring was also appointed to install, commission and maintain an Automated Total Station (ATS) system within one of the Down Ealing District Line running tunnels. Being of Victorian brick arch construction, these tunnels are particularly sensitive and any sign of heave (lifting of the tunnels as the heavy portal beams above were removed) had to be closely monitored over a sustained period of time. 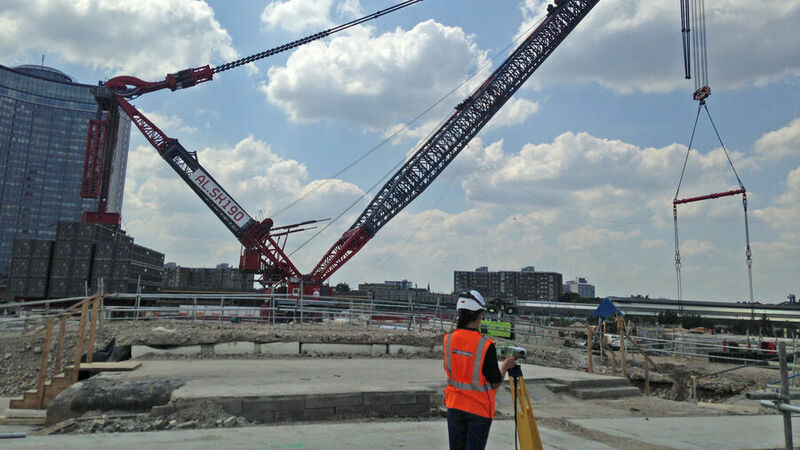 The ATS system consists of four Topcon MS1AX Total Stations that are mounted on a bracket at a height of 3-4m. Each one is housed in its own box and the four are placed some 70m apart. The automated monitoring data is presented to the client using cloud-based Mission OS visualisation software which enables instant access to data that is refreshed on an hourly basis. 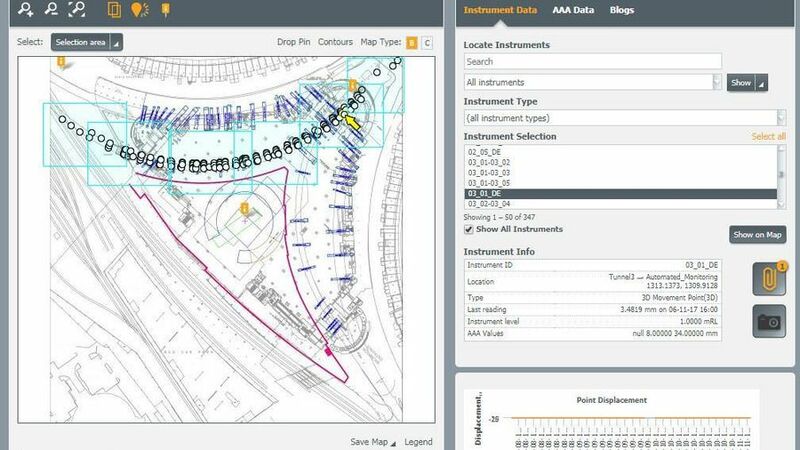 In collaboration with the consultant engineer, Arup, trigger levels were set for all monitoring systems to ensure that the necessary stakeholders are instantly informed if agreed movement thresholds are crossed at any time. 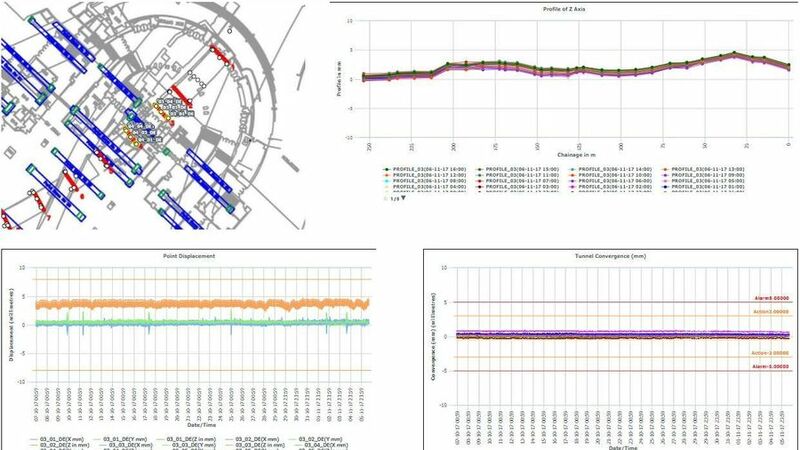 In addition to the automated system, a dedicated monitoring team was on-call to monitor the other District Line tunnels before, during and after the beam lift/ removal. The tunnel-covering slabs were monitored using precise levelling techniques to understand if the tunnels’ roof slab and abutments had heaved during the beam removal process. 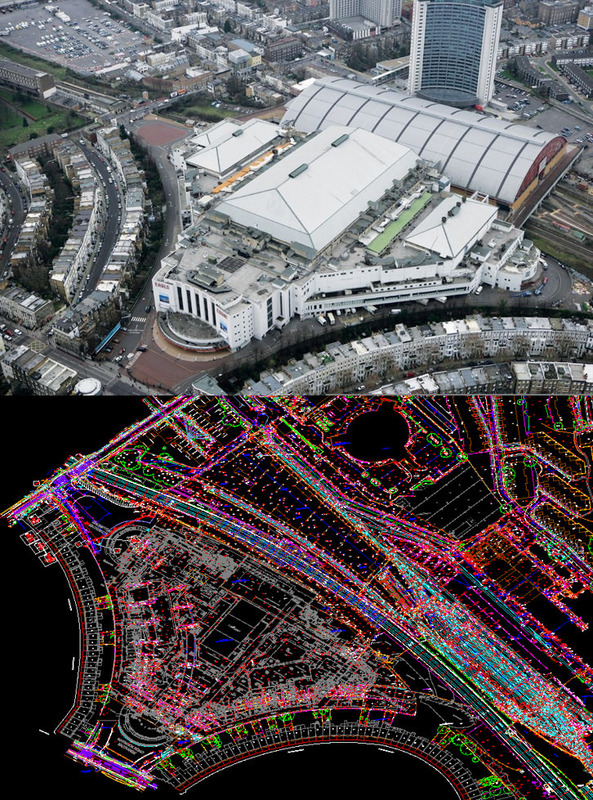 Data was quickly processed and immediately reported to LU, Arup, Keltbray and Capco.